HELLO WEAVER BABES! MY NAME IS RACHEL SNACK and I am a textile artist living in Keene, New Hampshire. I am the Creative Director of Harrisville Designs, a fiber company that operates a 200-year-old woolen mill, builds looms, and designs textile kits for children and beginner crafters. I am also the Founder of Weaver House Co., a weaving studio built on the idea of growing a tangible dialect, to regain tactility and a hand-making consciousness into the home and onto the body. In May I graduated from Philadelphia University with my Master of Science in Textile Design, which accumulated in a thesis exhibition called Textile Language. As part of my exhibition I published a book entitled Place (Sacred Space): Without Beginning or End – a compilation of images of my woven work, alongside writing from makers and artists addressing themes of body, line, vessel, weaving, space, stillness and the grid. *So many* makers submitted writing and poems; it was a humbling and poetic experience to see this practice of weaving that I so deeply care about connect with so many people across the world. And so, your challenge this month is to create your own woven language, a fluid piece of work that combines the process and motion of weaving with words and text. 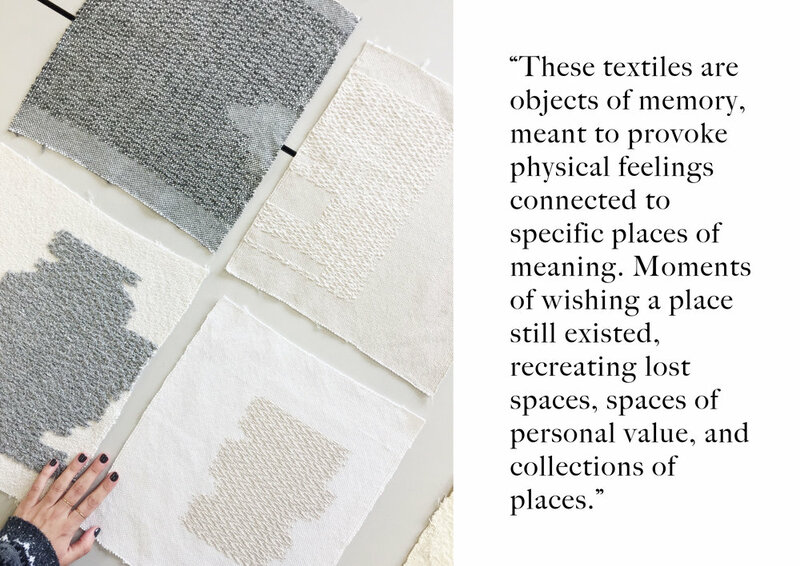 Anni Albers once said that ‘material is a means of communication’, and I believe that cloth is inherent to the way we interconnect – through touch and making. I want you all to write about your practice as a weaver, through poetry, essay or short story. This writing can be emotional, analytical, direct (think of an artist statement), or nonsensical. I challenge you to embody what it means to be a weaver: to create line in space through motion, to create cloth, to create a tactile manifestation of yourself. However that makes you feel, I want you to write about it. 1. Sit down and start writing! Let your mind wander and don’t overthink it. Edit later, this is best when it is pure intuition. 2. Once you have all your thoughts down – now is the time to edit. For our purposes we ask that each entry is no more than 250 words. This does not mean you have to stop writing there; the practice of writing can be so rewarding to the mind of a maker. From all that you write, we ask you to best pick the words that encapsulate the meaning you are trying to convey and send those words to us. 4. Repeat! You may find that words come after you have already completed your weaving – this is also a natural part of the process. Look at the weaving you have made and the words you have written as woven language, and then decide what you want your final pieces to sound/look like. 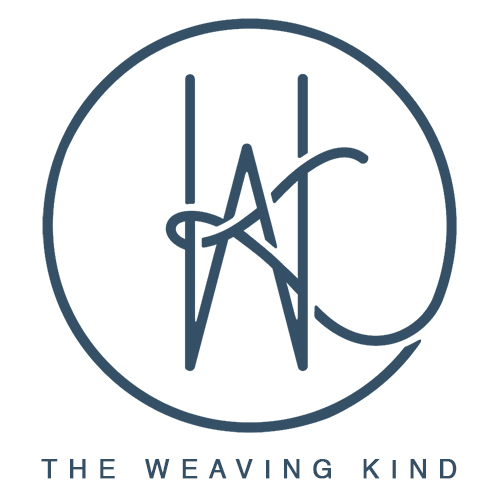 · Send a photo of your completed piece to submit@theweavingkind.com by November 21, 2017. Your photo should fit into Instagram’s square format without borders. Avoid using extreme filters. Submissions are selected for our Instagram feed in part based on image quality, so make sure your photo is in focus and well lit. Please include the image as an attachment to your email rather than sharing via Google Drive, Flickr, etc. · Include your Instagram handle and first and last name. You may also include your website if you would like it featured on the blog. · In the same email, submit your writing as a word document named firstname_lastname.doc. Please do not include your writing in the body of your email or as a .pdf. The word document should include two sections: Instagram exerpt (1-2 lines that will be featured on Instagram) and the full text. · By submitting, you are granting The Weaving Kind to showcase your photo (with credit to you, of course) on Instagram, our website, Weaver House Co. and other relevant materials. If you post about this month's challenge on your own feed, use the hashtag #twkoctober2017 to make it easy for everyone to find your photo.